Welcome back to the Be in the Picture weekly roundup. Once again there were lots of wonderful pictures shared on instagram and I struggled to pick just a few favourites. I could have featured so many. If you missed the last roundup you can catch up with it here, Be in the Picture 3. My favourite photo from last week came from cwing1. The words described how motherhood is like a fast train and how you just want it to slow down. She has managed to capture a beautiful moment in time here. Simply stunning. The next pictures comes from the beautiful Lamb and Bear. I just love the way she is looking at her son with such a natural smile. It's perfect. Our Fairytale Adventure is giving me serious wanderlust. 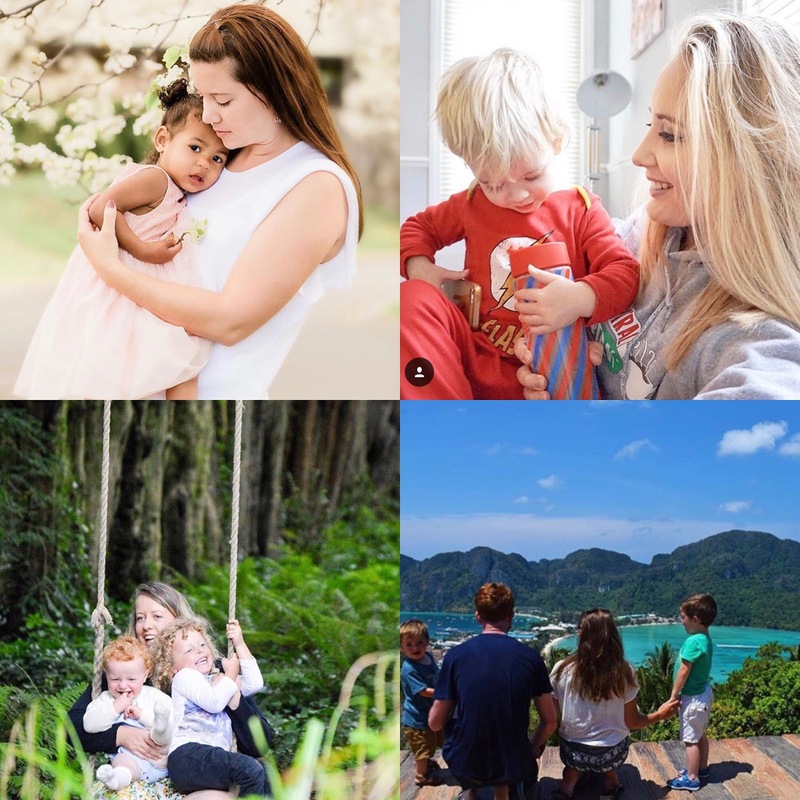 They are currently a full time travelling family, touring around Asia. I am loving their insta stories and you tube videos. They celebrated their 5th year wedding anniversary in Thailand and it just all looks so dreamy. Oh Thailand 🇹🇭, you absolute dream 😍. • Today is mine and Mr. C's 5 year anniversary 🥂... we've had a lot of difficult times over the years, but somehow we've made it through✨. Now we are travelling the world 🌍, one country at a time with our little tribe in tow 👨‍👩‍👦‍👦. Life is one big adventure and I couldn't imagine doing it with anyone else ❤️. Fiona at Dolly Dowsie has one of the prettiest instagram accounts i've seen. This picture was taken on Mother's Day and it shows her lovely relationship with her children. It's gorgeous. It's also making me very excited for some warmer weather. My own favourite picture that I shared on my account Kerry Louise Norris was this capture from the Great Mosque in Abu Dhabi. The lighting was amazing and the whole experience was breathtaking. That's a great round up Kerry. I haven't been in front of the camera much lately but am trying to get better at it again! This is a fantastic hashtag! I’m definitely going to start using it. What gorgeous photos! I don't think I've seen this hashtag before... so I'll be trying to join in. We should all definitely get in the picture a bit more. There's been times when I've not had one photo of me at an event, and it just looks like hubby and the little where adventuring on their own! Opps! Stunning selection of photos Kerry. It's so lovely to see all of these beautiful mummas in the photos. I made a new year's resolution three years ago to be in more photos and it's one I've stuck to ever since. I don't post many on my Insta but the photos do exist!! Oh thank you so much for featuring me! It is so difficult to get good photos of all three of us! I loved capturing this one on a timer though.